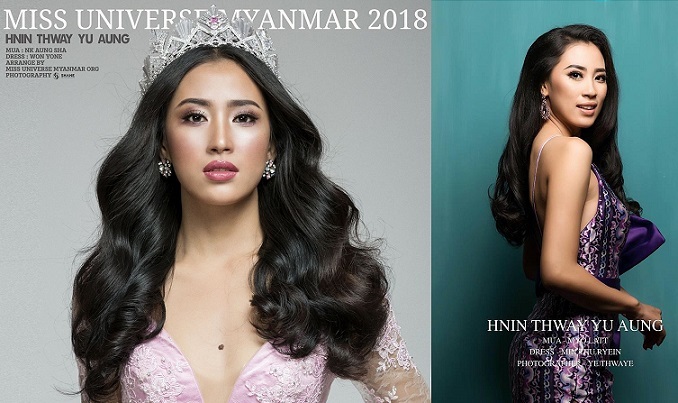 21-year-old Hnin Thway Yu Aung from Tachilek is Myanmar's representative at Miss Universe 2018 pageant. This 5'6" tall beauty is a third year Nursing Science student at Kyain Tung University. Hnin was crowned by last year's winner Zun Than Sin on October 1, 2017.